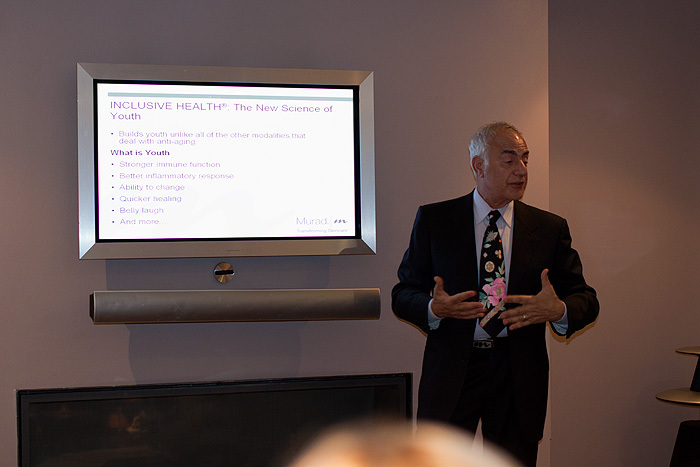 On Monday night, I was invited to attend a rare UK appearance from Dr. Howard Murad who was visiting the UK with his son Jeff to introduce a few new products to the brand’s lineup. Included in the launch are a new range of primers, marketed as “Hybrids” that draw maximum inspiration from the well-established skincare line. The two Skin Perfecting Primers in the range project obvious differences in overall finish (one matte, one glowy) but both claim to offer universal shade-matching from an oil-free formula. 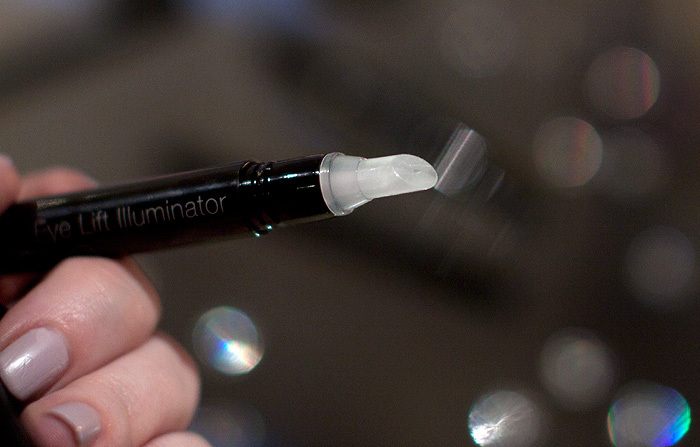 They promise to disguise flaws, even skin texture and minimise the appearance of pores whilst balancing oil production. Sadly, there’s nothing specific in the release about promoting longevity of makeup but that may well come under the ‘balancing oil production’ umbrella. The other two products are intended for the eye area. The Eye Lift Illuminator promises to instantly brighten the eyes thanks to a colour corrective formula (violet-toned), whilst hydrating, de-puffing, and minimising dark circles to give the surrounding delicate skin a more youthful appearance. The final product is the Eye Lift Perfector which promises the same improvements to general skin health as the Illuminator but with the addition of a natural tint (concealer) to even skin tone further. ~ Protects against the damaging effects of UV-induced free radicals to preserve and improve skin elasticity, firmness and tone. Honestly, I’m too fixated on that first one to bother caring about the rest. Note how it doesn’t say ‘improves the appearance of pores’. Yeahhhh Murad, you’ve just given me a BENCHMARK. I like benchmarks. I’ll be putting the primers to the test over the next few weeks and will be looking for all these lovely, instant results that I wanna see. As a fairly pore-y kinda chick, I’ve got my fingers crossed. 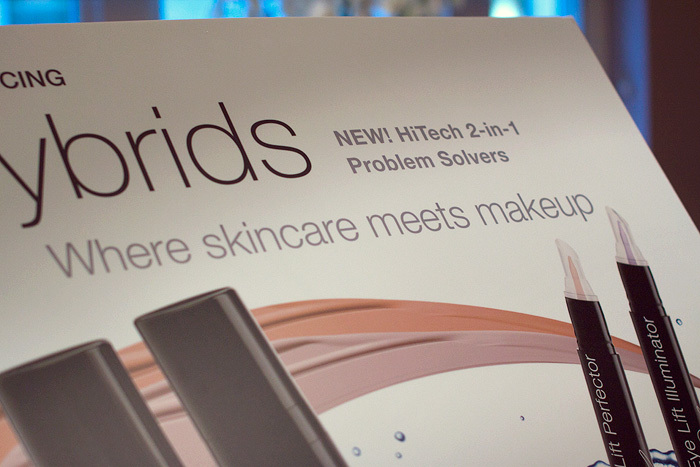 Murad’s new Hybrids range is available to buy online from Murad, Feel Unique, Urban Retreat Beautique and from leading salons and spas nationwide. Can’t wait for your reviews on these primers, they sound really perfect for my skin and I’m on the look for the perfect primer still. So excited about this one as Murad is one of my staple brands. Sounds fantastic! Pics and reviews, please!